We’ve discussed Youth Outdoors Unlimited (Y.O.U.) before. This is that amazing organization founded in 2011 by Cindy and Joe Carpenter of Moses Lake, Washington. Y.O.U. has moved far beyond that small start – impacting kids, families and companies across the Pacific Northwest, into Canada, and much of the USA. Three years ago, I passed along the story of two 14-year-olds – a boy and a girl – whose families wanted them fully involved in the outdoors. Y.O.U. got them into deep-forest bear hunting. At one level, they were just ordinary youngsters wanting to hunt and fish and bathe in fresh air and sunshine like any kid. 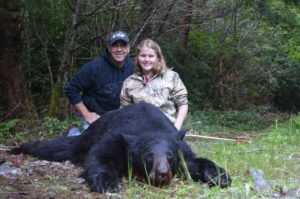 At another level – involving wheelchairs, shooting skills, a little extra mentoring and steadfast determination reflected in huge smiles – Amy Moore and Dariece Steele were anything but ordinary successful bear hunters. Applications to the program are pretty thorough, with all information needed for the program to make a decision on the youth’s request. The application includes a doctor’s medical verification of the youth’s condition and a release for them to participate, parent or guardian signature, the applicant’s reason for applying and a photo of the adventuring youngster. By the way, all expenses associated with these adventures are covered through Y.O.U.’s fundraising efforts. This includes all training, licensing, full outfitting, meat preparation, and travel and food costs for up to a 3 day hunt or fishing adventure. Y.O.U. generally provides a full camping experience with each adventure, but some require hotel stays. 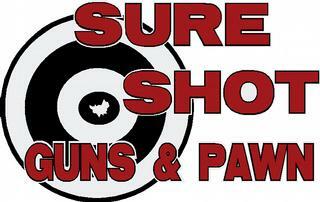 Any special clothing, custom-fitted gear or firearm required or needed is provided by the program and its sponsors. This includes the Y.O.U. camo “track chair” which can get youngsters into places a normal wheel chair might not. Each hunter or fisher gets a photo record of their big adventure, and taxidermy work on the animal they harvest. All this really happens. Since 2011, Y.O.U. has taken 53 youngsters with life-threatening illnesses and/or physical disability on custom adventures. Eleven of them took fishing trips, 21 went on deer hunts, 13 hunted bears (US and Canada), five went elk hunting, and three others had adventures hunting turkey, antelope or moose. Four trips are already set for 2017, with another 16 spaces to be filled. Youth Outdoors Unlimited makes bigger, wider, openings into the outdoors – wide enough to admit some of us who can’t just step out and go. Y.O.U. is 100% donation funded. To fully fund youngsters’ experiences it holds fundraising events each year and relies on donations from individuals and contributions from companies who believe in the mission of Youth Outdoors Unlimited. On top of the obvious dollar costs of these terrific unique and individual adventures, add in several thousand volunteer hours each year. Company sponsors are almost a who’s who of our outdoor lives. They include Backus Marketing, BIE, Basic American Foods, Cabelas, Sportsmans Warehouse, Vortex Optics, Buck Knives, Tri State Outfitters Moses Lake, North Fork Custom Rods, O’Loughlin Trade Shows, Shuyler Productions, and Horns & Hooks TV and Magazine. Several custom clothing and equipment manufacturers step up when needed. Individual Washington State fundraising efforts begin next Saturday (March 4) in Moses Lake. After that are events in Yakima (March 25), Spokane (April 8), and Lakewood (April 15). Tickets and donation information are available on Y.O.U.’s website at www.youthoutdoorsu.org (click the News and Events Tab). 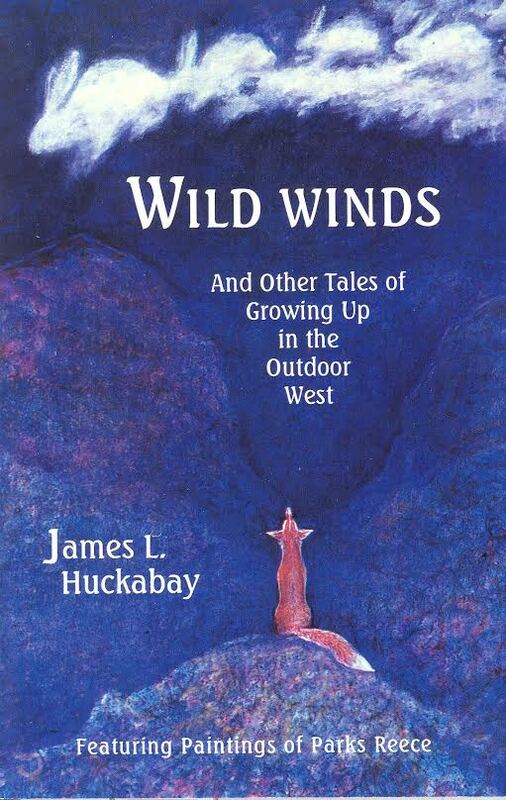 You may also contact Cindy at 509-431-1604 or you@youthoutdoorsu.org. If you can’t make one of these, and want to be part of the Y.O.U. family, send your check to Y.O.U. c/o Cindy Carpenter, 6818 Partridge Dr NE, Moses Lake, WA 98837. And thus begins another year of helping youngsters see new possibilities as abled outdoor people. Duty called; I started digging. In Kansas, an amendment to the state constitution added paragraph 21 to the Kansas Bill of Rights. It reads: “§21. Right of public to hunt, fish and trap wildlife. The people have the right to hunt, fish and trap, including by the use of traditional methods, subject to reasonable laws and regulations that promote wildlife conservation and management and that preserve the future of hunting and fishing. Public hunting and fishing shall be a preferred means of managing and controlling wildlife. This section shall not be construed to modify any provision of law relating to trespass, property rights or water resources.” It passed in November. According to the National Conference of State Legislatures (www.ncsl.org/research/environment-and-natural-resources/state-constitutional-right-to-hunt-and-fish.aspx), Indiana and Kansas just became the 20th and 21st states to guarantee the right to hunt and fish in their constitutions. Of the twenty-one states now including those rights in their constitutions, twenty were approved by voters. Vermont adopted the rights in 1777. The others (Alabama, Arkansas, Georgia, Idaho, Indiana, Kansas, Kentucky, Louisiana, Mississippi, Minnesota, Montana, Nebraska, North Dakota, Oklahoma, South Carolina, Tennessee, Texas, Virginia, Wisconsin and Wyoming) began with the elections of 1996. In general, Alaska’s constitutional language (“Wherever occurring in their natural state, fish, wildlife, and waters are reserved to the people for common use”) is seen as equivalent to a state constitutional guarantee. Florida and New Hampshire have statutory protections for the right to hunt and fish, but not constitutional amendments. Thus, twenty-four states have stood up to protect the right of the public to engage in lawful hunting and fishing. The constitutions of California and Rhode Island guarantee the right to fish, but not to hunt. Several states are in the queue. Nevada passed language in 2015 to amend its constitution for the right to hunt and fish, but it becomes official when passed by the 2017 Legislature and approved by voters in 2018. Legislation asserting the constitutional right to hunt and fish is on the table in Illinois, Michigan, New Jersey and New York. Last year, legislation relating to the constitutional right to hunt and fish was introduced in Colorado, Iowa, Maine, Missouri, North Carolina and West Virginia. All failed. So why all the interest – particularly in these past two decades – in making hunting and fishing a Constitutional Right? Think about it; every year across America, new firearms regulations are promoted for “safety.” Almost invariably, they do – or would – interfere with the legal, traditional and safe use of firearms afield – by folks who’ve all been through training programs. It feels like harassment. 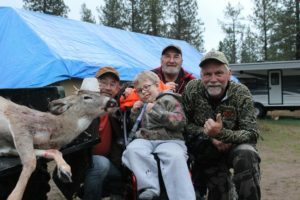 As we have from time to time seen in Paradise, animal rights groups, and their impact on methods, seasons and bag limits for certain game species have pushed many hunter advocacy groups to lobby for hunting and fishing righta. Sportsmen and a wide variety of folks work to get kids outdoors – and connected with nature – so that they will be advocates for an outdoor future for themselves and their own kids. In the meantime, louder and louder voices work to inhibit their fishing and hunting opportunities. The call has been heard across the country, and at least half of our states have taken steps to guarantee that future. We may yet get a bill through our legislature to officially create a Washington Children’s Outdoor Bill of Rights. Would voters of Washington pass a constitutional amendment for hunting and fishing? I don’t know really, but it is an interesting fantasy isn’t it? No doubt you have heard that several wildlife wintering areas have just been declared off-limits for visiting humans. This is an important – if not critical – move. Over the years, we have from time to time discussed the issues around winter and wildlife. This winter is a reminder of our roles and responsibilities. To minimize the disturbance of wintering wildlife and, in some cases to keep animals from damaging nearby private lands, there are other wildlife winter closures. Those include parts of our local L.T. Murray Wildlife Area, the Oak Creek Wildlife Area (Yakima County), W.T. 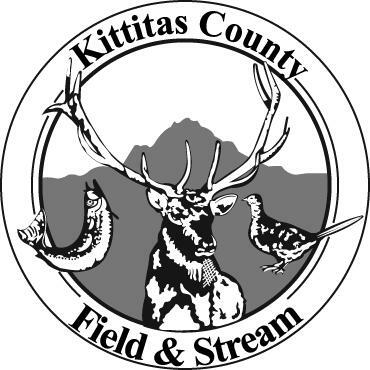 Wooten Wildlife Area (Columbia County), Asotin Creek Wildlife Area (Asotin County), and Sherman Creek Wildlife Area (Ferry County). In surviving even a normal winter, deer and elk may lose a quarter or more of their body mass. A loss of just under a third of fall body weight will generally cause death, even if food becomes available. (Biologist Wik also reiterated a fact often noted across the country in the midst of a hard winter; feeding deer and elk is not useful now, because it just takes them too long to adjust to diet changes.) As they fatten up in early fall, wild ungulates develop thicker, longer coats with many hollow hairs providing even more insulation with “piloerection” (the ability to make the hairs stand up and trap more air). Deer and elk also have large, round, bodies providing a greater volume to surface area ratio, minimizing heat loss. They move around less and rates of metabolism drop a bit, lowering caloric demand (probably why people often consider deer and elk Aless wild@ in the winter). Still, even with these built-in survival mechanisms, severity of winter is the major factor controlling most wildlife populations. Then there are our impacts. It does not matter if we think we pose no danger, animals act on their perceptions. (I often think of the expression “Facts are facts, but perceptions are reality” handed me by former Sinlaheken Manager Dale Swedburg.) During our winters, stress of any kind will drain an animal=s energy supply. If a critter just watches us so long that it loses valuable foraging time, its health may be compromised – especially now, when every bite counts. Wildlife photographer Leonard Lee Rue III once reported studies showing that eastern white‑tailed deer distracted from feeding on winter grounds for just a few hours at a time over a dozen weekends may lose a month’s worth of survival ability. In a hard winter, then, deer could die just from their reactions to being watched. The bottom line of all this is that we have an obligation to observe critters from a distance comfortable to them, not us. There are safe distances, and wildlife will show you what they are. Just as you and I have our individual “comfort zones” and “flight” distances, so do deer and elk. A head‑up, ears‑forward posture, with obvious nervousness, is enough to make me sit still, avoid eye contact, or back off quietly. The next level of warning signs might include: flicking of tails; jumpy response to noise; skittishness; moving away; hairs on neck and shoulders standing up; snorting or slapping the ground with a foot or paw. Any additional pressure will cause flight – and more loss of needed energy. Staying in your rig can be non-threatening. Binoculars, spotting scopes and telephoto lenses will let us get close enough for a good look without disrupting critter activities and bankrupting their energy reserves. If you opt to take a casual walk around wildlife, of course, you will want to leave pets in the car. Consider the comfort zones of fellow watchers, too. Expect to find wild things all around the valley and down the Yakima Canyon this winter, on most any drive. Joe Watt Canyon is a favorite sledding area, often with a fair number of elk nearby. You might head south and then out of Yakima to the Cleman Mountain Bighorn feeding area (just north of the intersection of Highways 12 and 410). Then go a couple miles south on Highway 12 to the Oak Creek Wildlife Area. You could see a hundred or more bighorns and deer, and a thousand or more bull, cow and calf elk. And watch all around our snowy winter roads. Hitting a deer or elk can mess up the whole day for both of you. “So we found those rams again, with a fifth one I really liked. Joe was about to head back to work, and I’d be on my own. I guess it occurred to Joe that he hadn’t been on an actual sheep hunt and if I wanted to go up after that ram he would go and take pictures – if I wanted him to. Wow! That would be great. “We got ready to go up the mountain and see if we could locate them. Joe grabbed my pack and I grabbed my Forbes 25-06 and up the mountain we went. When we finally got to where I thought the rams were located, Joe said he thought they were over one more draw. We continued working our way south and sure enough, over the next ridge we located the four rams feeding and laying down. “We decided to just watch and see what they were going to do. We finally picked out the one we thought was the largest – lying down off in front of us. We stretched out over that rocky ridge, and waited for them to get up. After a time, Joe quietly said, ‘I just found the ewe and the big ram…they’re off to your left.’ I found the ewe and then the ram. Sure enough the right ear had that orange tag. We discussed the situation and decided that since the ewe was up, the ram would soon be getting up, and that would be my best shot. “We read the orange ear tag, which said to notify WDWF before consumption. Neither of us knew what this meant. Joe examined the horns and told me he thought the ram was at least 9-1/2 years old. I field-dressed the animal and we set about skinning, caping, and deboning it. Joe had done this before; he was quick and good with the knife. Just before dark we loaded the cape and head into my backpack and Joe took the meat which was now in a large game bag and threw it over his shoulder. “What was supposed to be a scouting trip had turned out to be a spectacular hunt. What a day it was and what a ram! “At dark and our trucks, Joe headed home and I headed into Selah to take the head to Peyser Taxidermy to be mounted. 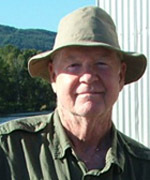 Before Joe left, he gave me the name and number of Will Moore, a Washington Department of Fish and Wildlife Biologist. 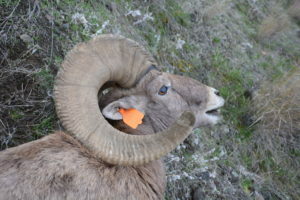 I called Will to arrange for the check-in and plugging of the horns (all bighorn sheep rams harvested have a metal “plug” inserted into the horns for registration and tracking purposes). Turned out that Todd Peyser could arrange that task at his taxidermy shop. I still wanted to know what the tag in the ear was all about, and Will told me that there were some rams tagged a number of years ago during a pneumonia outbreak. At that time the game department wanted to monitor them; mine was definitely a survivor and not to worry about the meat as it was good. I will keep the tag with the head mount as a reminder of the hunt. One other bit of information, since several homeys have asked. Brian’s 9 ½ year old California bighorn ram was measured – as are most rams taken in sheep herds around the state. The measuring system totals length and several circumferences of each horn. 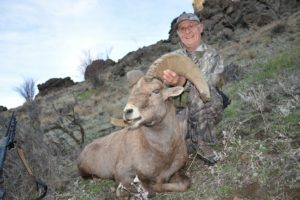 While not official until the end of a required 60-day drying period, his ram totaled right at 159 inches – placing it among the 35 largest California rams measured over the past 50 years in Washington. I’m certain that 2017 will be my sheep-hunting year – I just have to be one of the two or three hunters drawn from the three to six thousand others wanting to hunt my chosen sheep unit.